Family owned and British made, Cormar Carpets produce some of the finest products on the flooring market today. 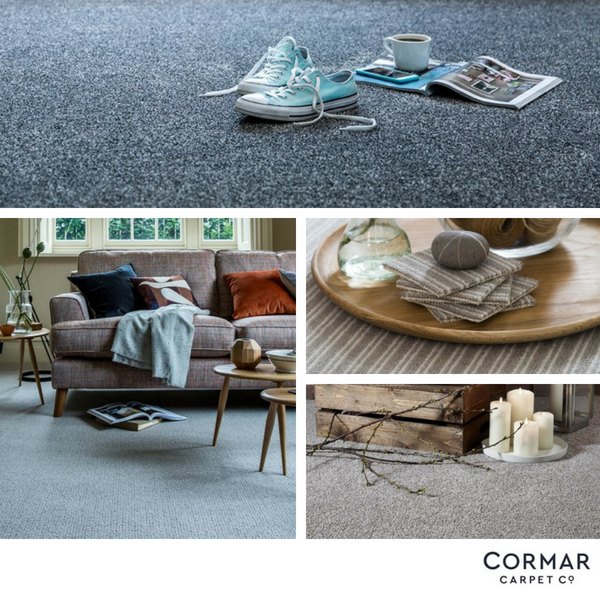 Established in 1956, Cormar manufacture all their carpets in Lancashire and pride themselves on offering luxurious and hard wearing carpets which are built to last. At Bramley Carpets we display the Cormar ranges on full wall stands and offer a free take-away sample service so you can see how the carpet will look and feel in your home. Wide selection of carpet styles such as Easy Clean Twist, Wool Loop, Deep Pile Saxony and Wool Twist. All carpets are designed to offer years of warmth and comfort so are backed with a manufacturers guarantee. Best selling carpet ranges such as Sensation Twist, Apollo Plus, Primo Ultra, Natural Berber Twist and Avebury Stripe are all available. Being a local manufacturer Cormar Carpets offer a fast and efficient delivery service meaning we can install your carpets quicker.